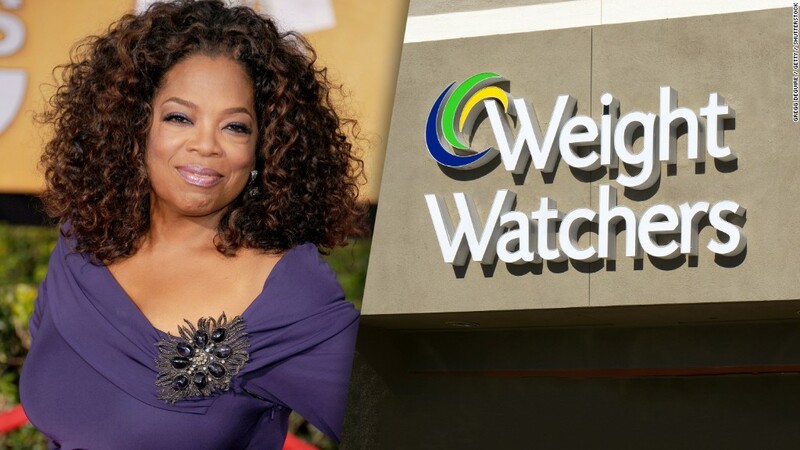 Oprah Winfrey has sold about a quarter of her stake in Weight Watchers. Winfrey, a spokeswoman for the company and member of the board, made the announcement on Tuesday. She donated some of the shares to her charity and is retaining more than 75% of her stake in the company. Weight Watchers (WTW) shares slipped on Tuesday. But on Wednesday, Weight Watchers (WTW) stock rose about 6%. "I'm a little surprised by the reaction," said Kara Anderson, an analyst with asset manager B. Riley FBR. "I would have expected [the stock] to sell off on Oprah selling shares." In a recent note, Anderson warned that losing Oprah would be a hit to the company. Winfrey confirmed that she won't be selling any more shares this year. "I am deeply committed to Weight Watchers and continue to see a bright future for the company," she said in a statement. That could be one reason that investors are buying stock today, said Anderson. R.J. Hottovy, an analyst with Morningstar, added that buyers could be taking advantage of the lower stock price. Investors tend to buy shares of the company when the celebrity makes headlines. After her Golden Globes speech sparked speculation that Winfrey may run for president, Weight Watchers shares spiked 13%. The mogul has played a significant role in the company's recent success. Winfrey bought a 10% stake in the struggling company for $43 million in 2015 and joined its board of directors that year. The company, which is trying to change its image from a diet company to a health and wellness brand, has had a great year so far. Last week, Weight Watchers posted a 23% jump in subscribers. Its stock has risen 40% in 2018. Weight Watchers said it does not comment on shareholder investments.